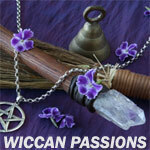 I desire to learn about anything related to Wiccan "beliefs/philosophy." I am wishing to meet new individuals with, a focus on, developing long-term relationships. I prefer a female partner who, is, also, open to diversity and learning. I am searching for a mate who, is, open to, not only, the exploration of our relationship but, that she will, also, wish to and, be an active participant while, also finding pleasure in, the thorough, exploration of, both of, our bodies, minds and, spirits.